The LG 600L Mega Capacity Side-by-Side Refrigerators Revealed! On 16 December 2016, LG introduced the new LG 600L Mega Capacity Side-by-Side Refrigerators that are more energy-efficient, thanks to the LG Inverter Linear Compressor technology. In this article, we will not just share the presentation with you, we will also give you a product tour of the three different models. Enjoy! This presentation reveals the key features of the new LG 600L Mega Capacity Side-by-Side Refrigerators. The LG Inverter Linear Compressor Technology is designed to reduce mechanical actions that results to a quieter all-round performance with less friction. Refrigerators with this technology are proven to be approximately 32 percent more energy efficient and 25 percent quieter compared to conventional compressors. This contributes significantly to lower electricity bills and every LG’s Inverter Linear Compressor has a 10 year warranty period. The Door-in-Door feature is an additional energy saving function that allows consumers quick access to their favourite snacks and beverages conveniently while saving up to 41 percent cold air loss without having to open the main refrigerator door. Consumers can now have a more organized refrigerator with a maximum energy saving ability. Contributing to a healthy living, the new refrigerator from LG features the Moist Balance Crisper technology that maintain the moisture to an optimum level. The moisture balancing feature helps keep food fresher and longer lasting. By prolonging the freshness of the food, consumer can save costs and avoid wastage by practicing smart groceries management. Installed strategically within every section of the refrigerator, the Moist Balance Crisper technology ensures that food are protected with cool air regardless where it is placed within the refrigerator compartment. This promotes a healthier lifestyle for consumers with freshly prepared family meals, maintaining their ‘from the field’ freshness. 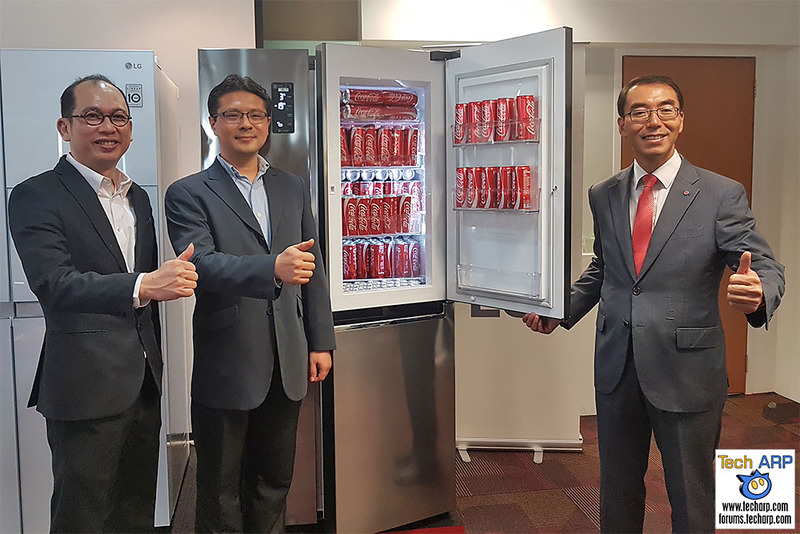 LG further extends its refrigerator features with a larger inner net capacity to meet unique lifestyles of Malaysians. The LG 600L Mega Capacity Side-by-Side Refrigerator comes with massive storage filling that is ready for any occasion – the ability to store fresh food and beverage equipped for festive seasons. In addition to its well-rounded inner capabilities, the LG 600L Mega Capacity Side-by-Side Refrigerator possesses a unique Stainless Steel design that features a sophisticated appearance that fits today’s modern home with a luxury and stylish presentation. Consumers can now discover fingerprint and smudge-resistant stainless steel surface. With the inner and outer durability, the LG 600L Mega Capacity Side-by-Side Refrigerator is a perfect long term family household investment.